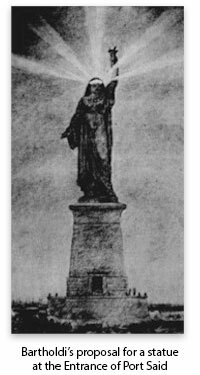 Was the Statue of Liberty a gift from the people of France? But the statue was not, in fact, a gift from the French government. I believe my mistake is based on a 20th-century reading of a 19th-century idiom. And yet that conflation surrounds us. I certainly grew up with it as a common refrain in my schooling. Most of the time when the teacher said “the people,” she meant the state. Really, how can “the people of France” give anything to anyone? I just assumed it was the standard rhetorical trick, using the people as a euphemism for the government. Failing to close the deal in Egypt, Bartholdi repackaged it for America. When this bit of backstory reached the American public, while Liberty was still in the planning stages, “Bartholdi furiously denied the charge. And yet the similarity between ‘Egypt (or Progress) Enlightening the World’ and ‘Liberty Enlightening the World’ was so marked, even Bartholdi’s own listing of his holdings itemized the Egypt models as models for Liberty” (Elizabeth Mitchell, Lady with a Past). According to Mitchell, the Egyptian statue was the antithesis of liberty: an Egyptian slave! But I think that may be the author’s preference for a dramatic contrast trumping the facts. Both Mitchell and Wikipedia describe the proposed statue as an Egyptian female fellah. But were the fellahin slaves? Perhaps that’s a post for another time. Regardless, Egypt was a vassal state of an authoritarian empire and the gateway for the colossal African slave trade into Asia. Bartholdi wanted to place his piece at the northern entrance to the Suez Canal in Port Said because the canal represented French greatness in general (Ferdinand de Lesseps had finally accomplished what Napoleon had envisioned but never completed — and what pharaohs and emperors had attempted since antiquity) and engineering greatness more specifically. His statue was to be a synthesis of French art and French engineering, as well as a political symbol of the progress that France offered the East. The excavation took some 10 years using forced labour (corvée) of Egyptian workers during a certain period. Some sources estimate that over 30,000 people were working on the canal at any given period, that altogether more than 1.5 million people from various countries were employed, and that thousands of laborers died on the project. The British government had opposed the project of the canal from the outset to its completion. As one of the diplomatic moves against the canal, it disapproved the use of “slave labor” of forced workers on the canal. The British Empire was the major global naval force and officially condemned the forced work and sent armed Bedouins to start a revolt among workers. Involuntary labour on the project ceased, and the viceroy condemned the corvée, halting the project. Before Bartholdi could talk “the American people” into receiving his monumental gift, he had to persuade “the people of France” to pay for it. Bartholdi and his confederate, the French politician Édouard René de Laboulaye, formed an organization called the French-American Union in 1875 and called for donations in both countries. But these donations were not enough. More successful was a lottery held by the French-American Union, with prizes donated by Parisian merchants. At every stage of the fundraising, Bartholdi was insulted by the lack of public enthusiasm and the absence of “official” assistance. However, despite his original plans for top-level support, he was flexible enough to do what was necessary. Ultimately, he filled the gap by doing what we still do with monuments today: he charged admission and sold souvenirs. People who were less than eager to donate money were happy to pay to see the inside of the incomplete statue’s head or climb to the top of the torch in the not-yet-attached arm. Does any of this mean that the Statue of Liberty fails to represent either liberty or the American people? Methodological individualism would require us to say that a group of French individuals funded the construction of the statue, a different group of American individuals funded the base on which she now stands, its foundation dug into an island given to the project by yet a third group of individuals in the US government. The American government ended up owning the statue, and therefore “the American people” own it in that euphemistic, grammar-school-civics-class sense. But in fact, there is a way in which the Statue of Liberty can legitimately be said to be American, and populist, and maybe even libertarian. 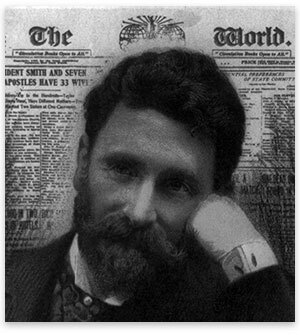 After Bartholdi and Laboulaye failed to get anyone in America especially excited about the project, the American publisher Joseph Pulitzer “started a drive for donations to complete the project that attracted more than 120,000 contributors, most of whom gave less than a dollar” (Wikipedia). The government provided the island the statue now stands on, but they were stingy with “the people’s money” in a way that warms a libertarian’s heart: “Governor Grover Cleveland had vetoed an allocation of funds. 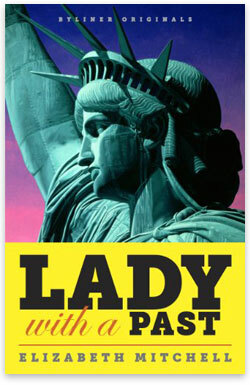 The House of Representatives couldn’t even agree on support for the unveiling ceremony” (Lady with a Past). So the statue, it turns out, was funded as much by French gamblers and entertainment seekers as schoolchildren and soldiers; and on this side of the Atlantic, the final funds came from American newspaper readers. Its status as a “gift” was much clearer on the receiving end. 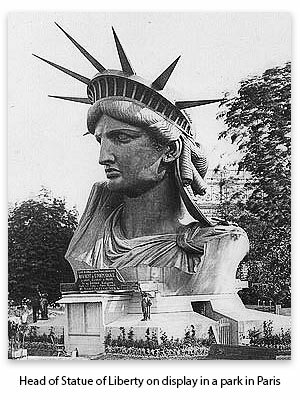 To the French, the project was Bartholdi’s, not theirs. But for Americans, by the end, the statue was ours. 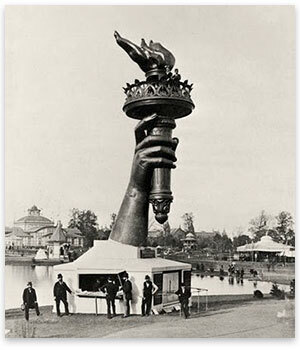 Pulitzer may have joined Bartholdi in the rhetoric of nationalism and populism, but it was capitalism that finally erected the great American symbol of liberty, and it was the American people — the people Bartholdi did not care for — that gave Lady Liberty her voice: Pulitzer sponsored a contest for a literary tribute, as part of the fundraising campaign. Why is that ironic? Because Pulitzer was probably violating Bartholdi’s intellectual property, so called. Statue of Liberty is a monument to greatness. And valuable mental As a memorial to commemorate the good relationship between the U.S. and France during the Revolution in the U.S..